Our new partner, Caldwell Community College and Technical Institute, has contributed 7 yearbooks that are now available on DigitalNC. The institution opened its doors in 1964 in Hudson, N.C. and now offers more than 100 programs. It serves a population of nearly 12,000 students in both curriculum and continuing education programs. 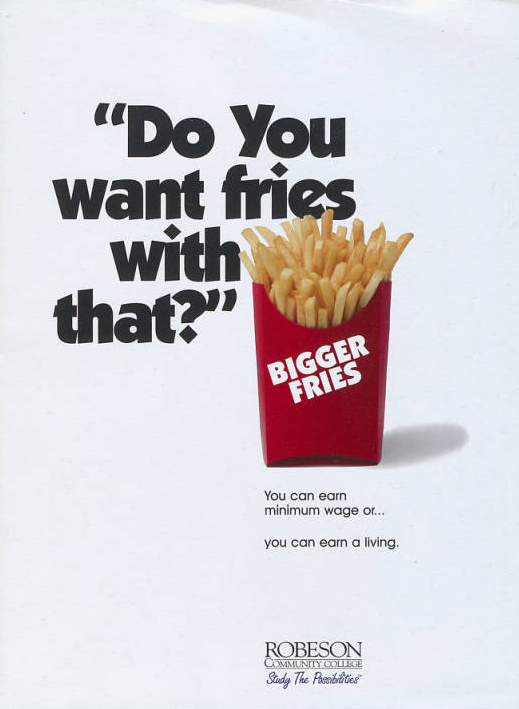 The yearbooks feature the activities of the close-knit communities, including many of the programs’ clubs, such as nursing, cosmetology, and automotive care. These yearbooks are more great examples of the fashion and culture of young people during the late 1960’s and early 1970’s. For more examples of yearbooks like these, check out the College and University Yearbooks in the North Carolina Yearbooks Collection. To learn more about Caldwell County Community College and Technical Institute, please visit their website. 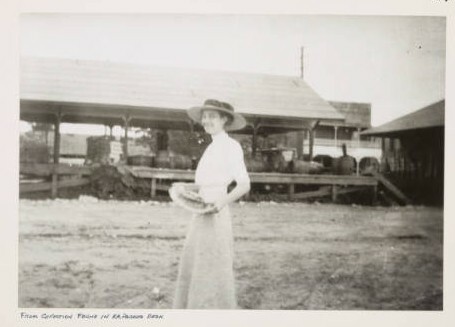 A woman stands in front of a railroad depot with cotton platform. 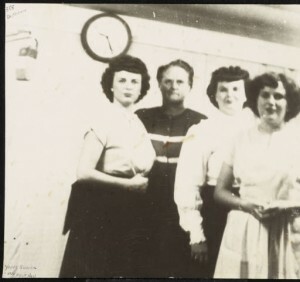 More photographs from the Benson Museum of Local History have been digitized and uploaded to DigitalNC. Like the photographs added in the past, these show citizens and everyday life in Benson, North Carolina. Many of the people and events are familiar from past uploads. 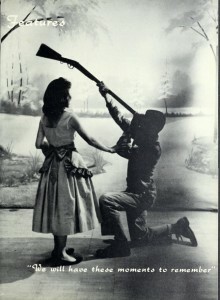 Names such as Barefoot, McLamb, Parrish, and Woodall appear again as well as events like the Benson Singing Convention. 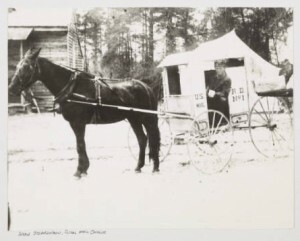 Jesse Stephenson with the mail wagon. Young Sisters Trio at Benson Singing Convention. All of the Benson Museum of Local History photographs can be viewed here. You can see our blog posts about previous uploads from the Benson Museum of Local History from November, September, and June. The museum’s website can be found here. 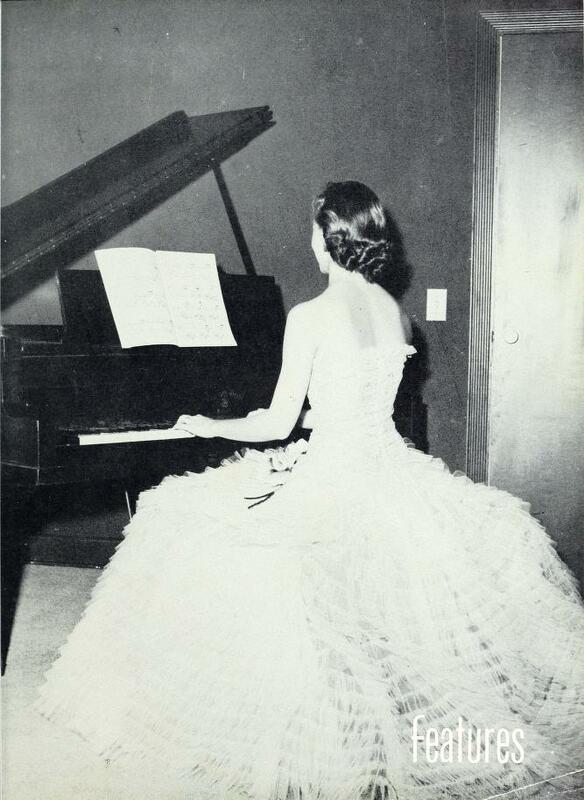 New yearbooks from the Wendell Historical Society have been added to DigitalNC. 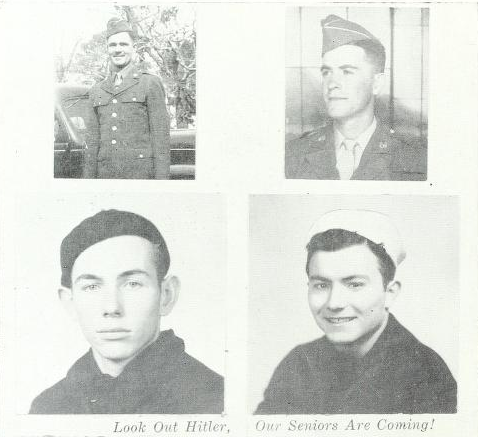 The 17 yearbooks are from Wendell High School, located in Wake County, NC, and they date from 1943 to 1965. Called “Echoes,” the yearbooks include portraits of students from first grade through senior year and feature candid shots and group shots of clubs and teams. 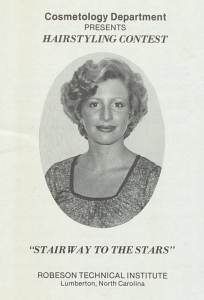 You can view more Wendell High School yearbooks here. 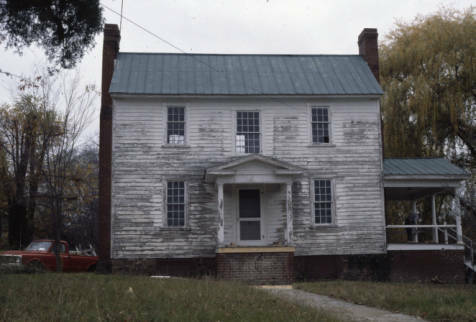 Rockingham Community College has shared part of a unique collection of slides that document early architecture in Rockingham County. There are large plantation houses as well as kitchens, barns, and other small buildings found on homesteads. Most of these slides are exterior views of buildings, but interiors and shots of specific architectural details seem to have been taken when the opportunity presented itself. Some of the buildings are still standing and have even been renovated, like the Spray Mercantile Building (before, after). Others have been demolished, making these images both poignant and valuable for research. Family names and locations are included for many as well. This collection developed from an interest in the early architecture of Rockingham County, North Carolina by Reidsville native Siler Rothrock, who had grown up working in his family’s building supply business. While completing his master’s degree, he engaged in the antique and refinishing business. Developing an interest in local architecture, he enrolled in the fall of 1978 in Dr. Lindley Butler’s local history class at Rockingham Community College where he met local historian Bob Carter. They agreed to travel the rural sections of the county and photograph the early houses still standing. 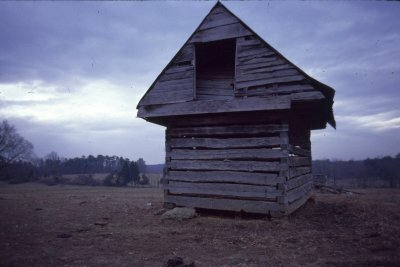 From 1978 until 1986 they photographed most of the pre-Civil War structures in the county. Bob Carter did the deed research and interviews to identify the builders and occupants of the houses. With this background in architecture, Siler Rothrock established his own construction firm specializing in old home restoration. He has since developed a statewide reputation in the restoration field. We hope to share additional slides from this collection during the new year. If you’re interested in Rockingham County history, definitely check out the Rockingham County Legacy exhibit. You can view other items shared specifically by Rockingham Community College on their contributor page. From the cropped bobs of the 20’s to the big bouffants of the 60’s, the yearbooks are galleries of teenagers displaying their most fashionable styles for the camera. From the basketball court to the band, high school girls marked the change in style over the decades, even in small towns in North Carolina. Check out all the fashion and cultural changes throughout high schools in North Carolina by browsing the North Carolina Yearbooks Collection. To see more items from Cabarrus County Public Library, visit their contributor’s page or their website. 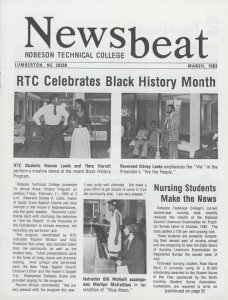 More than one hundred new items from Robeson Community College are now available on DigitalNC. 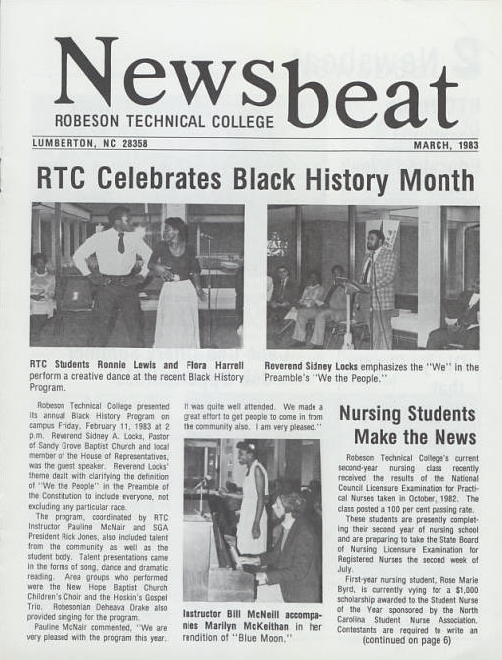 Formerly known as Robeson Technical College, the college’s latest contributions include a wide assortment of newsletters, programs, advertisements, maps, posters, and images. These document the activities in and around the campus community from the late 1970’s to present. These items could be useful for anyone interested in Community College programming, which might be helpful for researching small or local economies. They could also be useful for those interested in genealogy research in the Lumberton, N.C. area or Robeson County. To see all the contributions from Robeson Community College, please visit their contributor page or the their website. 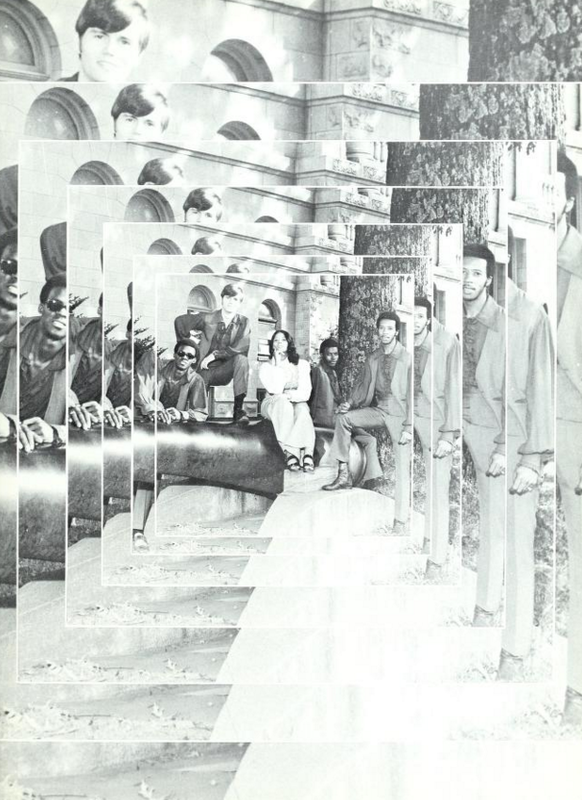 To see all of the other campus publications and yearbooks from North Carolina hosted on DigitalNC, please visit the North Carolina Yearbooks Collections. 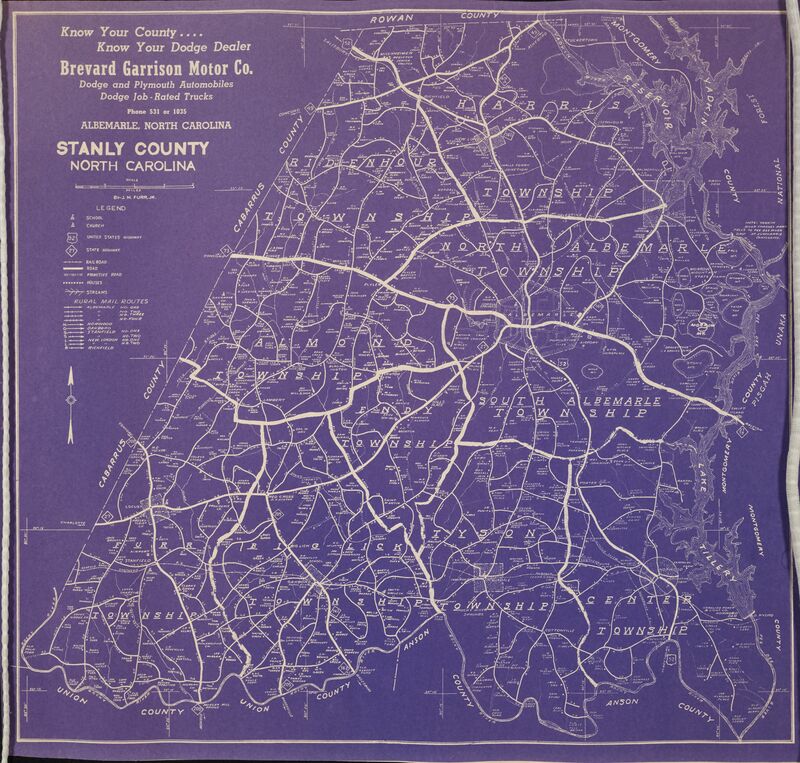 We’ve added new items from the Stanly Count Museum to DigitalNC. The latest additions to the Images of North Carolina Collection document several different decades of development in Stanly County. Agriculture, especially cotton, was the primary economic source for the Ablemarle area during the early twentieth century. Wiscassett Mill is one of the oldest cotton and textile mills in the area, and employed many people from Stanly county. The large, panoramic images feature several of the mill’s buildings and some of the employees who kept the operation running. Three of the four maps document new housing developments planned for the growing area during the late 1930s. The Map of Whispering Pines and Map of Forest Hills are good examples of middle class planned communities that were popping up throughout North Carolina during this period. Forest Hills was Stanly County’s first residential subdivision of this kind. The Map Showing Redivision and Additions Etc. to Forest Hills shows the growth and success of the community after only a short twelve years. All of these images document the growth of Stanly County, especially in Albemarle, during the first half of the twentieth century. 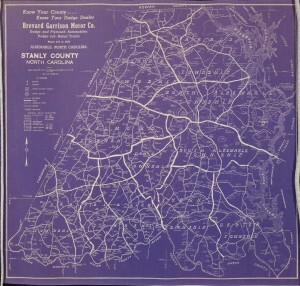 They could be of interest to anyone researching city planning and residential developments or those interested in the economic history of textiles in Stanly County and North Carolina. In addition, the Museum was able to fill in some missing issues of The Full Moon, Albemarle High School’s student newspaper. This includes an early issue from 1929, which appears to simply be an invitation to a mock wedding upon graduation or some sort of inside joke (of which there are always many in student newspapers. Map Showing Redivision and Additions Etc. to Forest Hills, Albemarle, N.C.
Map of Whispering Pines, Stanly Co., N.C.
Map of Forest Hills, Albemarle, N.C.
To see more from the Stanly County Museum, check out their contributor page or visit the website. 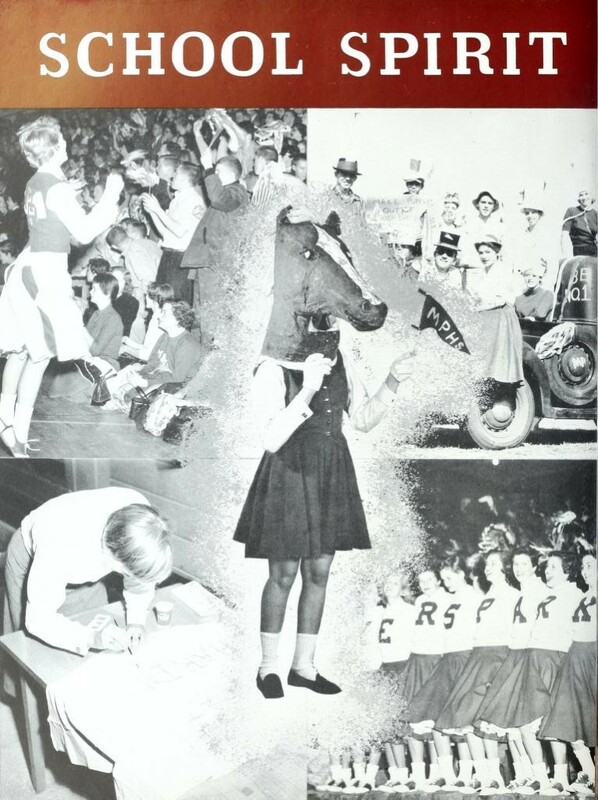 Myers Park High School yearbook, Mustang, 1958 spread on school spirit. Additional Charlotte, N.C. yearbooks, provided by the Charlotte Mecklenburg Library, are now digitized and available on DigitalNC. 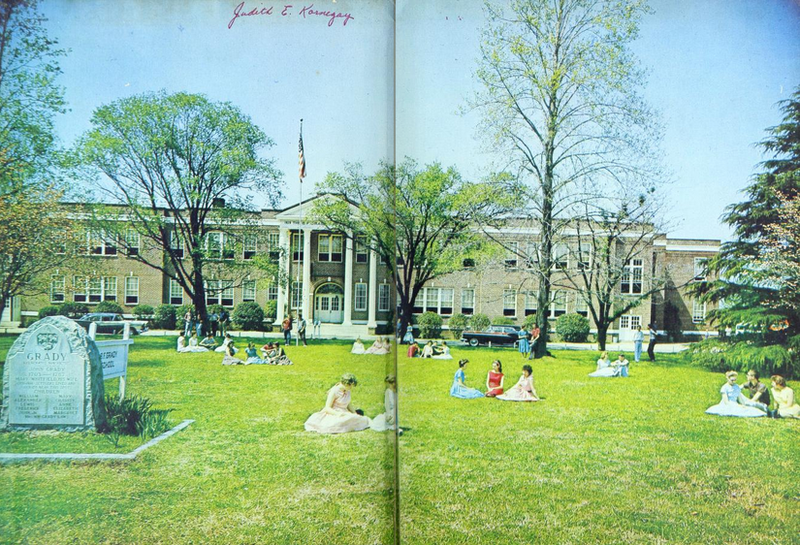 Two yearbooks come from Myers Park High School, which opened in 1951. The yearbooks, titled “Mustang” are from 1958 and 1959. 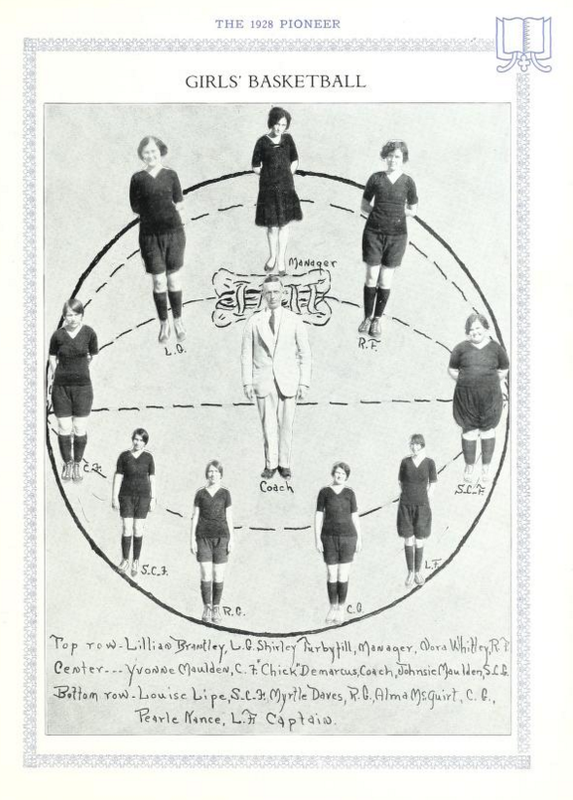 Fifteen of the digitized yearbooks come from Charlotte Technical High School, the years 1929 (the school’s first yearbook), 1931, 1940-1946, 1949, and 1951-1954. The yearbooks include photos of students and staff as well as clubs, sports, and other activities around campus. These are the first yearbooks we have digitized and uploaded from both Myers Park High School and Charlotte Technical High School. 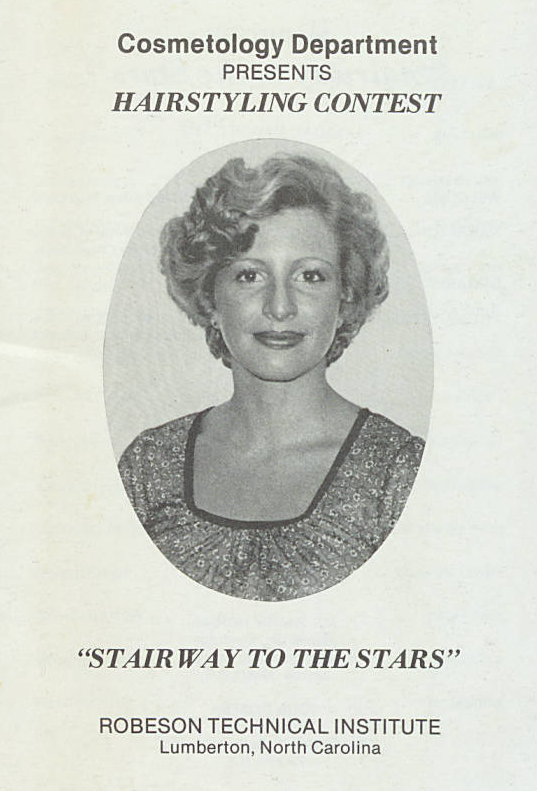 You can view all of Charlotte Mecklenburg Library’s yearbooks here. Earlier this year, the Highlands Historical Society approached us and asked us if we’d like to help “fill in” a year of The Franklin Press and Highlands Maconian newspaper. Most of this paper is available on microfilm that was created by one of our favorite partners, the State Archives of North Carolina; in fact, we had digitized 1924-1942 (excepting 1936) with the help of the Fontana Regional Library. The Highlands Historical Society came to us with a bound volume of the missing year, a volume full of print copies they’d never seen elsewhere. These have been added to DigitalNC. In 1936, the U.S. waited to see the fate of the man who had kidnapped and murdered Charles Lindbergh’s child. Franklin Roosevelt was reelected. The summer Olympics were held in Berlin, under the eye of then Chancellor Adolf Hitler. All of these were covered by the Press, right next to local news of Macon County. We especially like “Interesting Places in Macon County,” a regular column by Mrs. T. C. Harbison that talks about local landmarks. 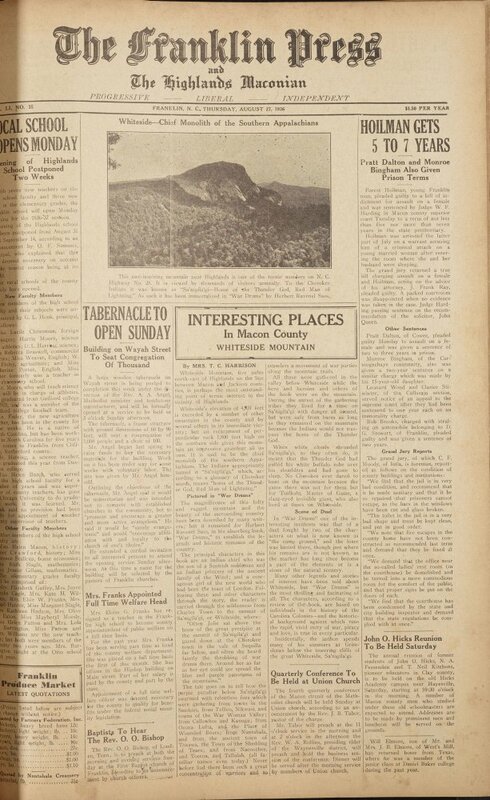 An issue with this column is shown at right, talking about Whiteside Mountain. You can browse all issues of The Franklin Press and Highlands Maconian in our Newspapers collection. We’ve also helped the Highlands Historical Society share a number of yearbooks and local newspapers online, which you can see and search through their contributor page.